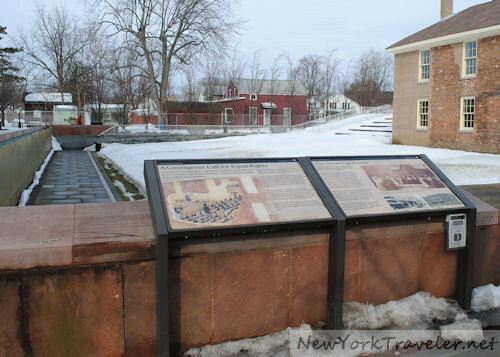 Not too far from the National Women’s Hall of Fame on Falls Street in Seneca Falls, NY, is the Women’s Rights National Park. 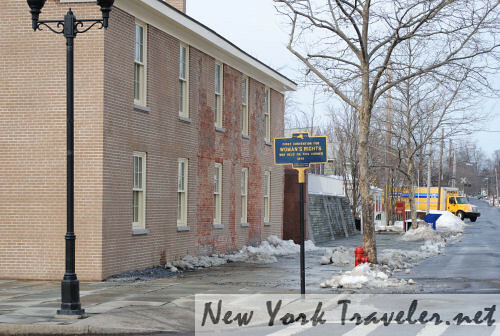 I wrote about the rich history of the women’s movement that began here in my post National Women’s Hall of Fame, Seneca Falls, NY. 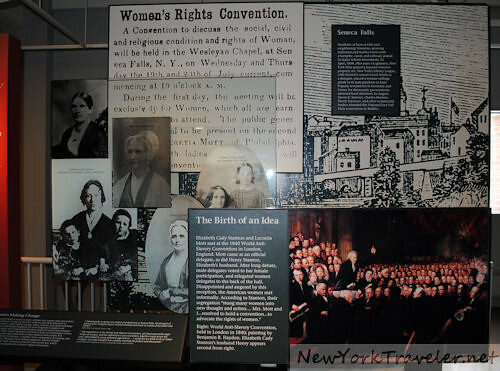 While the National Women’s Rights Hall of Fame honors various American women, the Women’s Rights National Park honors the women’s rights movement. The movement officially began in 1848, when a large group of 300 women assembled on this corner to petition for equality of women in society and business. 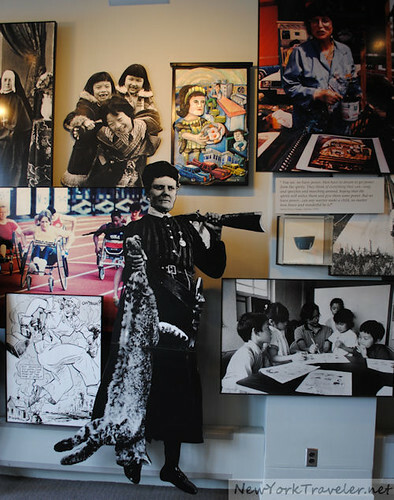 The museum is filled with displays. When you first walk in, you see a group of life-like statues by the information desk. It’s very impressive. 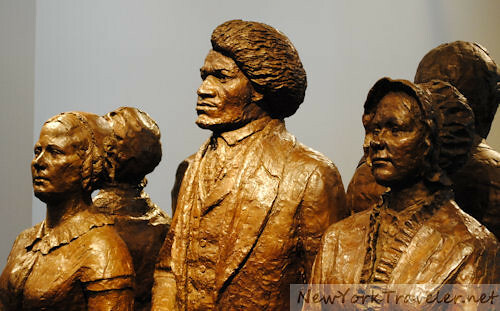 I am not familiar with the ladies, but that looks like the great abolitionist Frederick Douglas in the center. Most of the displays are either all visual or textual. 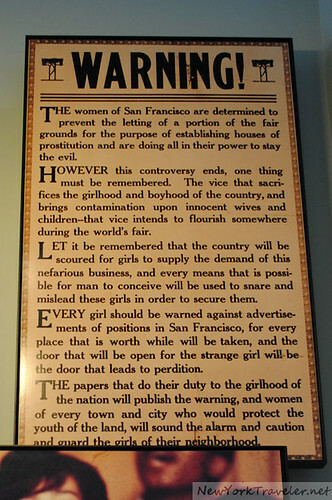 There were large portions of wall space dedicated to posters of the plight of women before equal rights and after. I have read various biographies of notable women. One of the best was a biography of Elizabeth Blackwell (I don’t remember the author, as I read it as a child). Elizabeth Blackwell was from England but emigrated to America as a child. She became very concerned about the deplorable conditions of women in society. It was once said that the only three employment positions for women that men encouraged were governess, seamstress and prostitute. Blackwell would visit women in the slums who had been abandoned by drunkard husbands; these women often resorted to prostitution to keep food on the table. Blackwell began a series of social reforms to enable women to work honorably, and she also became a doctor (woman to graduate from medical school!) to help these women. The museum showed both sides of the spectrum– the poor women trapped in her poverty, and the rich woman trapped in society’s demands. 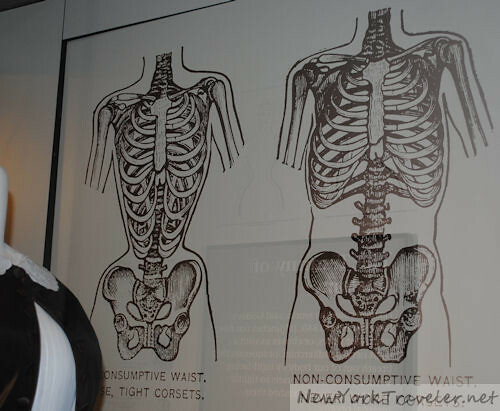 One very interesting display showed the detrimental effects of the corset. The museum had dozens upon dozens of displays, most of them very large billboards for reading. We could easily have spent the entire day reading everything. I didn’t have that kind of time, unfortunately, so I read displays and snapped photos of the things that caught my eye. In 1871, women’s rights activist and friend of Susan B. Anthony, Pauline Kellogg Wright Davis wrote a book about the history of the women’s rights movement. 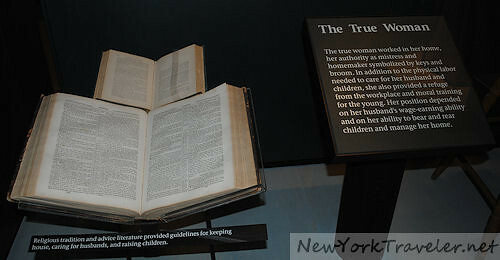 She said that the women’s rights was a direct result of the religious revivals by Charles Finney in Upstate New York. Finney allowed women to pray and preach to mixed-gender groups; he also encouraged women’s social rights and abolition. 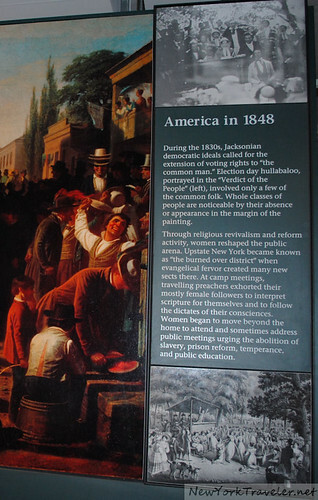 Some say the revivals of the Second Great Awakening entirely altered American society and government– where a person should LIVE out his Christian faith not just on Sundays but throughout his entire life (the totality of Christ) throughout society by ensuring justice for all. 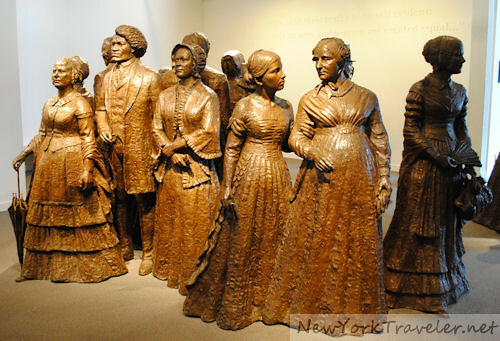 Black women slaves such as Harriet Tubman and Sojourner Truth (born as Isabella Baumfree) were very outspoken about slavery and women’s rights. This display on Truth was very haunting. Slavery was bad enough, but if you were also a woman, it was a very bleak life indeed. 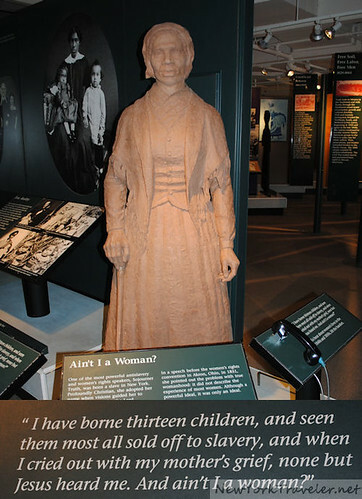 The Women’s Rights National Park is free admission. It’s a marvelous place to take children, too. There are few hands-on displays, but the history is just oozing out of the walls. It all makes for a very good history lesson.